Measures: 5" x 5" x 2" / 13cm x 13cm x 5cm. Including handles: 6" / 15cm. Inside measures: 4.75" Diameter x 1.75" Height / 12cm Diameter x 4.5cm Height. Removable silicone sides with a glass base makes it easy to bake and serve on the same attractive platter. Simply lift the silicone up and over the glass plate and slip off. Perfect for making all kinds sweet, delicate desserts and savory dishes: cheesecake, coffee cake, flawless chocolate cake, crown jewel jello pie, fruit tarts, quiche, cheesy melts, deep dish stuffed pizza, pies and casseroles. Diameter of 5"/13cm makes this springform pan a perfect pressure cooker and slow cooker accessory. 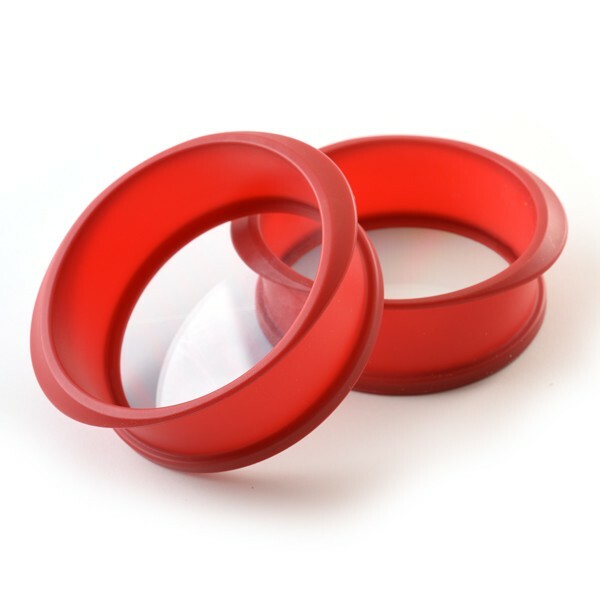 Silicone and tempered glass is heat resistant to 445°F/230°C and ensures consistent temperatures while baking your dish.